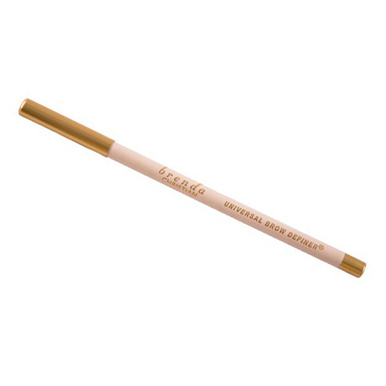 This remarkable one-color eyebrow formula in a convenient pencil form that scientifically reads and automatically color adjusts to the pH of your eyebrow hair follicle. The Definer will not work on your hand or other areas of the face but is specifically designed to simulate eyebrow hairs. Upon touching the eyebrow area, Universal Brow Definer automatically adjusts from light to dark, warmer or cooler, to all natural eyebrow hair shades including Platinum Blonde, Soft Auburn, and deepest Brunette.